Due a lack of activity on a hot -almost summer- boring day, I found myself having done half of my tasks at 11.00 AM so there was that strange feeling I never get of "what now?". As I sinfully indulged on a delicious Frappuccino (thank you Starbucks for existing on those PMS days and damn you for showing the Kcal. amount on my face), I started reading fashion magazines and saw espadrilles seem to come back every summer. Will these become a timeless shoe? One fashionista will wonder. 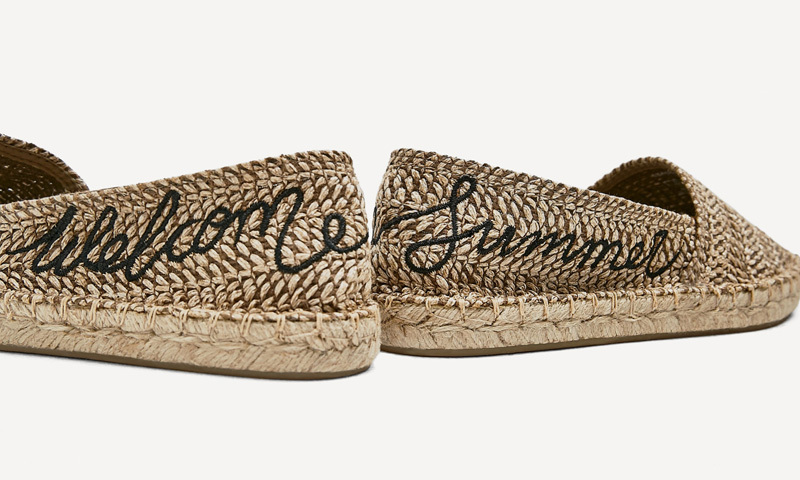 Classy and trendy at the same time, now almost every brand is putting their espadrille designs out there. The classic Spanish rope sandal is becoming the star of the comfy-but-stylish outfit. I started browsing and found lots of styles, ranging from sneakers, ankle-strap like, etc. to lace up espadrilles, glittery and sporty ones! Did lau fall for the fashion trend? Ou yes. Of course easy to find an excuse to join a summer trend, I thought I need a comfy pair of shoes for my upcoming trips this summer, in cities full of cobbled stones and marble stairs (therefore: NO HEELS and NO FLIP FLOPS whatsoever). What do you think about my latest purchase? I guess I will wear them with almost anything I put on. They can close a casual outfit wearing jeans and a dark, white, or marine shirt. Or they can make the final touch on maxi dress outfit. What do you think about this alternative to strappy sandals? When and how would you wear them? They are becoming a bit more than just a basic. Have you joined the trend yet?